We have a great last minute deal for our readers in the Geeky Gadgets Deals store today. 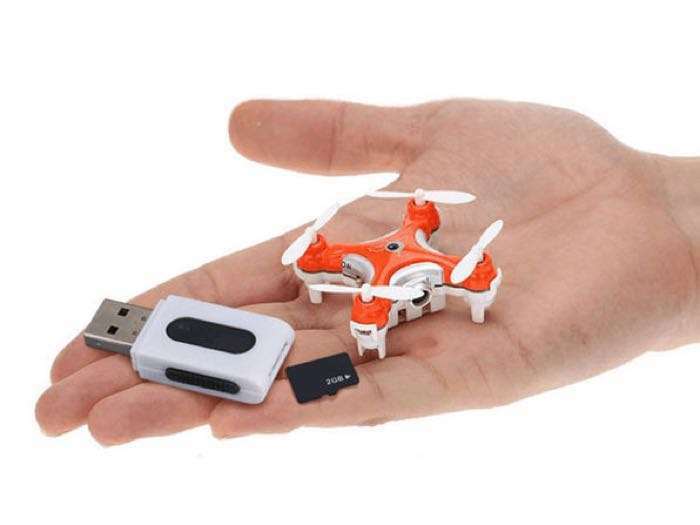 You can save 50% off the World’s Smallest Camera Drone . The World’s Smallest Camera Drone is available in the Geeky Gadgets Deals store for $24.99 it normally retails for $49.99. This tiny flyer is the smallest drone of its kind to carry its own camera for taking epic shots in the smallest places. Four fast blades make this new quadcopter omni-directional, which in layman’s terms means it can dip, dash, zip, spin, and flip anywhere you tell it to via remote control. Plus its decked out with LED lights so you can embark on night flights and document it all the while. Tote it anywhere you go and let it rip. Head on over to the Geeky Gadgets Deals store at the link below for more details on the World’s Smallest Camera Drone.